I wasn’t expecting the book to be fantastic, but I read the American Girls About Town collection several years ago and some of the stories have still stuck with me as being really profound and interesting. So I was hoping there would be at least a couple of the stories in here that would be awesome. But not only were most of them clunkers, I honestly had a hard time following some of them. I would get to the end of the story and think, “wait, what?” Part of it is because of the usage of Irish slang that I just didn’t understand. Usually, I would be able to pick up some clues in the context of the story as to what the strange word meant, but a lot of the time, I still had no idea. And sometimes the stories just didn’t make any sense. The Your Place or Mine? story was a slog and practically incomprehensible. The Cup Runneth Over was interesting until the ending where I seriously have no idea what happened at the end. I liked some of them okay, but most of them were just terrible. I’ve read some of the authors’ other works and didn’t hate them as much as I hated the stories in here. It was pretty disappointing, and I only finished it because I assumed there would be at least of a couple of good ones (eh), and I didn’t want to have to start another short story collection. Also, this was on the bottom of my reading pile since I’ve had it for ages, so yay two boxes for one awful book. I really did like the American version, so if you like rom-com type love stories, check that one out. This book fulfills the book of short stories and the book at the bottom of to-read list requirements for the challenge. I think I would have liked this book a lot more if I had not listened to the podcasts previously. It definitely just rehashed all the same material that they’ve had over the course of the past year or so. 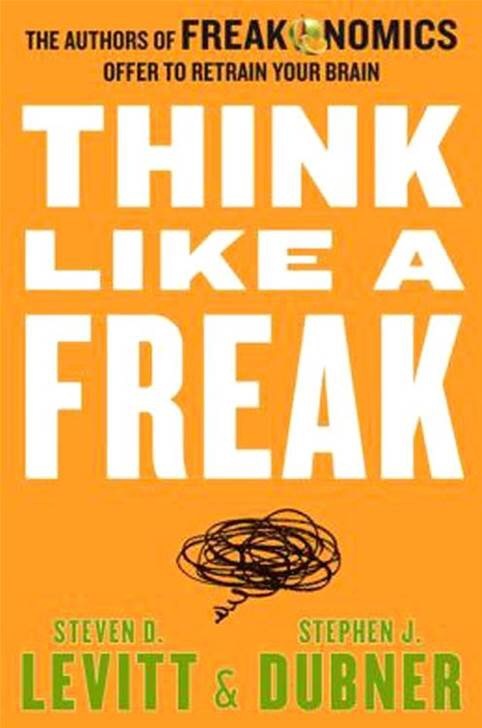 I really enjoyed the first Freakonomics book. The second felt less like an additional book and more of an addendum, which is interesting because the second book is actually 5 pages longer. My personal opinion is that the contents of the podcast should have been collected in a CD or digital download presentation, and just packages that way. The podcast really sells it with the interviews from people and everything. The book is a little disappointing. This book fulfilled the non-fiction requirement for the challenge.